The woolly “lambscapers” deployed as subcontractors to New Energy Economy partner OCI Solar Power left the Alamo 2 solar farm last November when grasses went dormant. But they’re baaa-ack, assuming full landscaping duty this spring. And that’s a good thing. Given the wet season–thanks, el Nińo!–the grass is growing like, well, weeds. 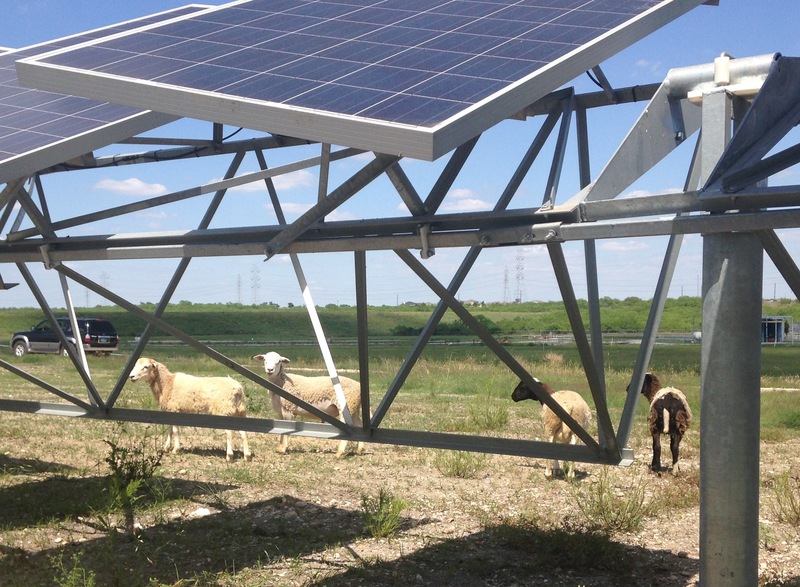 OCI Solar Power asset manager Guy Pickrel says he’s glad to have the sheep back on board to assist with maintenance. Last fall, a herd of 90 Barbados sheep left the farm for the winter. In March, 65 Dorper and Dorper crosses, a relatively new premium breed from South Africa, joined the solar farm maintenance crew. According to Steven Schoen, owner of S Bar S Livestock in Seguin, the Dorper breed is better acclimated to Texas’ hot summers. “They require minimal care, drop twin lambs on the ground, and you don’t have to mess with them,” says Schoen, who supplied the herd. 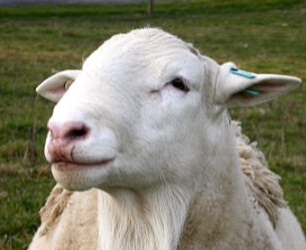 Generally, the sheep arrive in the spring weighing 40 pounds, doubling their weight to 80 pounds four months later. But with grass so plentiful this season, Schoen says the sheep have reached their ideal weight in half the time. The Dorper herd has tackled their groundskeeping duties with vigor, making sure the grasses are kept at a height that won’t interfere with maintenance and optimal collection of the sun. The 45-acre site doubles as the Upper Martinez Wastewater Treatment plant and was made available by an agreement with the San Antonio River Authority (SARA). Proper grass maintenance also filters rainwater run-off before it hits the watershed. The arrangement marks the second time CPS Energy has brokered the construction of a solar farm at a wastewater treatment facility. Back in 2012, CPS Energy partnered with San Antonio Water System to build the 20-MW Sinkin Centennial Solar Farm on 200 acres at the Dos Rios Water Recycling Center. Dorper cross sheep take a break from mowing the grass at Alamo 2. A recent visit to Alamo 2 had 65 Dorper sheep munching on Bermuda, Buffalo and Blue Grama grass, the latter two species part of the native seed mix specially selected by SARA to refurbish the site after construction of the farm. Wildflowers like Black-eyed Susan, Indian blanket, and Mexican hat were also part of the seed mix and provide fodder and refuge for bees, butterflies and other critters. Coming soon: a sheepdog will join the farm in a few weeks to deter coyotes, which can sometimes be a problem even in suburban San Antonio. 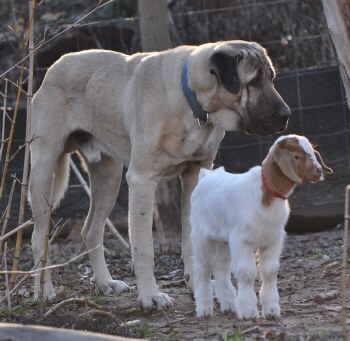 Schoen says he’s bringing in a Boz shepherd, which will weigh about 200 pounds. “You only need one,” he says. Don’t mess with this guy. Boz Shepherd coming soon to Alamo 2. Photo via Boz Shepherd Dog Breeders Assn. “This is an experiment that worked,” says Pickrel, appraising the return of the sheep. The practice of using livestock as groundskeepers at solar farms is gaining popularity, here and elsewhere. OCI Solar Power says they are likely to introduce sheep at the Alamo 1 solar farm this year, and will consider other sites where it makes sense. Sincerely hope owner of sheep will be rescuing one of the many working dogs being fostered by various breed rescues. I would be happy to compile a list of groups and contact information for use.